Am I Liable if an Employee Uses My Equipment for Another Job? Home » The Law & You » Am I Liable if an Employee Uses My Equipment for Another Job? A construction company owner says his employee has been using the company’s equipment on other jobs. The owner is worried about the liability. Could he get sued? Construction accident lawyers Greg Fellerman and Ed Ciarimboli explain his legal status. Dave Kuharchik: We have a question tonight about a construction company. 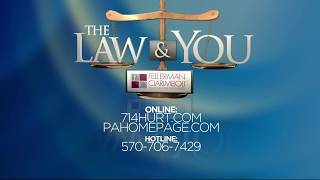 It’s “The Law & You.” With us as always is attorneys Greg Fellerman and Ed Ciarimboli. Thanks for being here. Ed Ciarimboli: We wouldn’t want to be anywhere else. Greg Fellerman: Nope, we love it. Dave: This is your favorite spot each and every weekday. Ed: We do, we love it here. Dave: Ok, we’ll get you to work again. Here is another question from Jack in Dallas. Jack says, “I own a construction company and just found out that one of my employees has been using my equipment on other jobs. I am worried about liability. What can I do to protect myself?” What do you say to Jack? Ed: You know, Jack, this is a very interesting question. One of the things I would do would call your insurance company. Make sure your insurance company is aware of this issue so that in the event that that piece of equipment is used in a matter that it hurts somebody or causes damage, that you’re not going to be on the hook for that or your insurance company is not on the hook for that. You want to give them enough notice to make sure that if a claim does happen, that you are going to be protected fully from a liability standpoint. Greg: You may not be because I think he said he knew it was being used on another site. But the problem is you know, you need to take action to get that piece back under your custody and control. Because if it’s out there and you fail to do anything and something happens, I think you may have some responsibility. So, obviously, don’t do anything crazy but go through the right process to get that piece of equipment back under your control. Because if something does go wrong, it’s in your name. Ed: That’s a great point. Call the authorities. Make sure there’s a police report filed because this is theft. Ed: It’s technically theft. Make sure there’s a police report filed, and make sure you notify your insurance company as well. Take the right steps to protect yourself. Greg: Do something. Be proactive. Dave: If you need to be pointed in the right legal direction, you can reach out to the guys here, of course. Don’t forget results matter, with attorneys Greg Fellerman and Ed Ciarimboli. See you next time, guys.